Surfers of the Pacific Northwest are a pretty hardy lot. Their passion for the sport takes them into sometimes freezing cold water, they trek through virgin forest, and both in the water and out they encounter many of nature's wildest animals. And so that makes them ideal ambassadors for the conservation and preservation of rugged stretches of nature that could be threatened by the environmental damage of oil pipelines and tanker spills. The Vancouver Sun ran an article by Judith Lavoie of The Victoria Times Colonist reporting on the efforts of a Pacific Northwest surfer and environmental scientist, in cooperation with outdoor clothing manufacturer Patagonia, to bring to the screen a documentary that highlights the beauty of British Columbia's Great Bear Rainforest and the need to conserve and protect this ocean and forest wilderness. 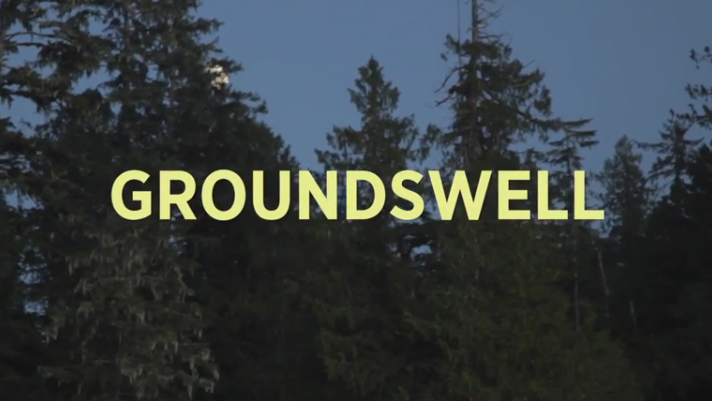 The film currently is titled Groundswell and a fall 2012 release is planned. But you can read about the film project and the support from Patagonia. You can also view a film trailer on Patagonia's website by clicking here. When a couple of sea lions swam close to Chris Darimont as he was surfing, he realized that, with his wetsuit and surf board, he looked remarkably like a marine mammal. That is when the idea came to Darimont, science director for the Raincoast Conservation Foundation, that there should be an opportunity for surfers to speak for the marine mammals of the Great Bear Rainforest and the threats they would face from oil tankers in northern B.C. waters if the Enbridge Gateway pipeline was approved. "Why couldn't surfers, the closest approximation of marine mammals amongst us humans, bring voice to this issue on behalf of whales, dolphins, porpoises and other species at risk," he said. Darimont approached Patagonia Inc., a company that has supported Raincoast, and the idea for a surfer documentary film was born. In October, the Raincoast research vessel Achiever replaced some of its usual scientific gear with a surfboard rack. Darimont, three top California surfers sponsored by Patagonia — Chris Malloy, Dan Malloy and Trevor Gordon — and top Canadian surfer Peter Devries of Tofino set off on a 10-day mission to find big waves in the choppy water off the Great Bear Rainforest. The resulting documentary will be released internationally this fall, but a trailer, showing the diversity of animals encountered by the surfers, was released this weekend. "It turned out to be an amazing trip," Devries said. "It was one of the most beautiful places I have ever been to." Seeing a plethora of marine mammals and other animals, plus dealing with heavy seas, emphasized the need to keep oil tankers away from the area, he said. "The likelihood of a spill would be very, very high, given how crazy the seas can be," Devries said. "The ocean is a huge part of my life and a spill would directly affect pretty much everyone and everything on the coast." Despite his grounding in science, Darimont believes there was magic at work during the surfing trip. "We woke up one morning and we were surrounded by a pod of killer whales. They had come to us, so, instead of surfing that morning, we spent time with the whales that seemed to have sought us out." A walk into the forest brought encounters with grizzly bears, even though they are usually elusive, Darimont said. "That day we couldn't walk 100 feet without bumping into a grizzly bear," he said. 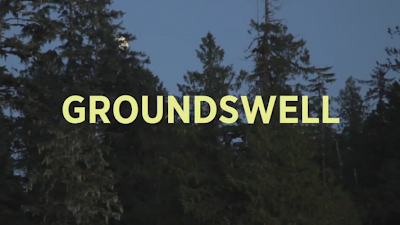 The working title of the film is Groundswell, which, in the surfing lexicon, means a series of intense, powerful waves, he said. That is a good metaphor for the growing pipeline opposition, Darimont said.